425 SW 147th Ave #105, Pembroke Pines, FL.| MLS# A10556538 | Susan J Penn l Best Agent l Buy & Sell South Florida Homes! Cobblestone, an elegant place to live. A perfect location near many major highways,restaurants,malls,supermarkets & universities and meanwhile you can enjoy the privacy and security that this community offers. It was designed with a boulevard inviting nice walks where you can enjoy the cozy porches and front balconies that also fills the community with an attractive social energy. Cobblestone has assigned highly qualified schools with dedicated teachers to ensure that students receive an excellent education in a safe environment. 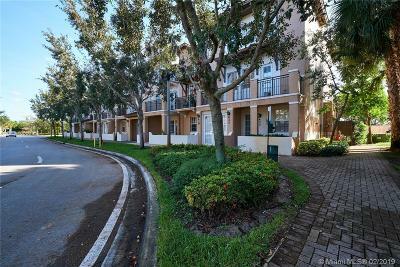 Bright & spacious high ceiling condo with 2 master bedrooms w/ large walking closets & full baths,1/2 bath downstairs. Gated Community,Clubhouse,Resort Styled Swimming Pool,Sun Deck,Two Children's Tot-lots,Fitness Center,Gazebo Bus Stop,Jogging Track. Directions: I75 And Take Exit To Pines Blvd West (Fl-820), Turn Left Onto SW 149 Ave, Left Onto SW 3rd St, At The Gate Have Your Id Ready, Turn Left Onto SW 148th Ave, Make A U-Turn, The Destination Is On Your Right. Park At The Back.